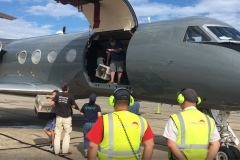 Animal Rescue Fund of the Hamptons, Inc.
ARF’s transport team returned safe and sound from Puerto Rico from a second rescue mission in the last two months, as aid continues to be an issue on the island. On Wednesday, December 13, the ARF team flew to the Puerto Rico to help our rescue partner, Leo Roubian and Barks of Hope, who are still with limited electricity in Rincon. 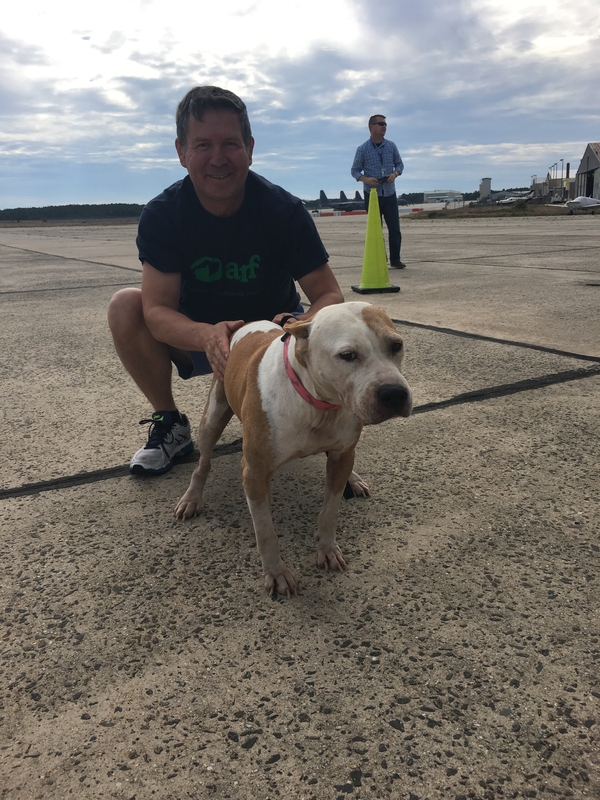 This time, ARF returned to Westhampton’s Gabreski airport on Sunday, December 17, on a chartered cargo flight with 130 animals! All animals are now safe at the ARF Adoption Center in Wainscott and will need to be medically cleared before they will be available for adoption. This rescue mission is made possible in part by the Irving and Phyllis Millstein Trust for Animals. 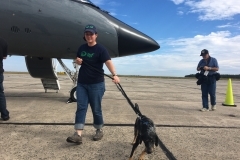 This trust was established from their estate to protect and support vulnerable and at-risk animals, and ARF proudly undertakes this mission in their honor. Please consider making a year-end tax-deductible donation to help us care for these animals until they find their forever home. DONATE NOW! 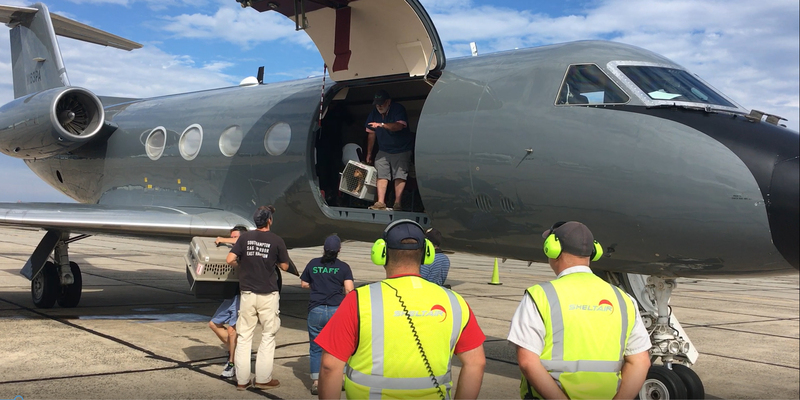 ARF’s transport team arrived at Westhampton’s Gabreski airport on Wednesday, October 11, on a chartered cargo flight from Puerto Rico. ARF rescued 70 dogs and cats form the Rincon area, where aid from outside has been slow to arrive. After the animals are medically cleared, they will be available for adoption in the coming weeks. ARF learned last week that our rescue partner of 12 years, Leo Roubian of Barks of Hope in Rincon, had no electricity, water, or gas. Her animals were safe, but they needed to be flown to safety as soon as possible. 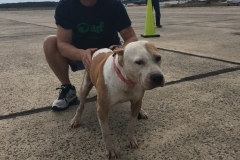 In response, ARF chartered a cargo plane to bring Leo’s dogs to the East End. 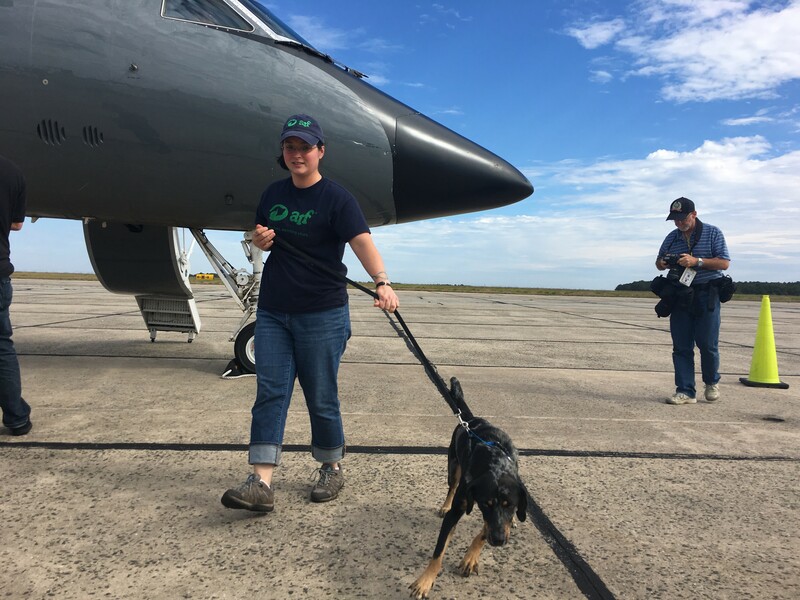 ARF’s Michele and Jamie Forrester travelled to Puerto Rico on Monday, October 9, on a commercial flight to prepare the dogs for travel. Never before as the support of our adopters, volunteers, and donors been more urgent, and all of us at ARF are extremely proud of what your generosity makes possible. ARF undertakes these commitments on faith that our community will step forward to support us, as they have done repeatedly over the last six weeks. You can read more about all of ARF’s hurricane relief efforts HERE. The Animal Rescue Fund of the Hamptons is a 501(c)(3) charitable organization. © 2018 Animal Rescue Fund of the Hamptons, Inc.